April 22 | Working after work. 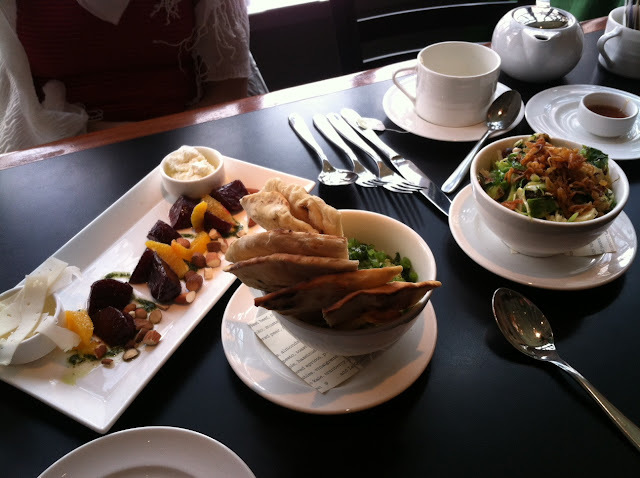 April 23 | My friend, Jane, and I had an awesome lunch with pea hummus at Riffs! The service was not so good, but the food made up for it. April 24 | These banana nut muffins (recipe soon) almost made Austin quit his diet 2 weeks in. April 25 | Pulled out the deck chairs - apparently there is going to be more snow on Tuesday, but I'm trying to be optimistic. April 26 | Picked up my weekend read - "Paper Towns" by John Green. April 27 | Our lunch spot on our hike. April 28 | Slurped down this super thick smoothie that was really more like ice cream before heading off to a teacher training at my yoga studio.